It’s been a week since I left my role at Artpace and I’ve been feeling all kinds of things—nostalgic, mournful, fulfilled, fearful, and excited for a new chapter. 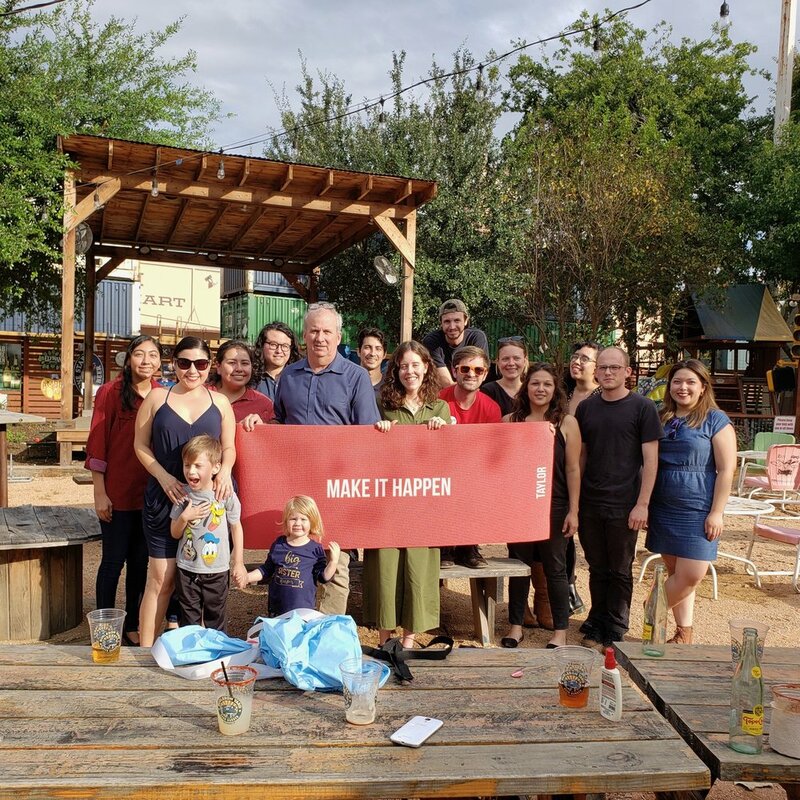 My Artpace family arranged a farewell celebration and gave me the most thoughtful gift—a custom yoga mat that says “Make It Happen” riffing off of Artpace’s slogan, Make Art Happen. My colleagues make it hard to leave, but I’m so grateful they understand why I decided to do so. It’s hard to let go of my role at Artpace for many reasons. Not only do I care deeply for the staff and artists and believe in the organization, but having a full-time job also gives my ego a real sense of security. I was good at my job and it came with a nice title, steady paycheck, and benefits. It’s scary to let go of those things, but if I’ve learned anything, it’s that nothing in life is truly guaranteed so we might as well do risky things! I’m going to try my best to Make It Happen—I plan to put together a collaborative and artistic book on pregnancy loss with other parents I’ve connected with since Ellis died. I have also been planning to open a gallery bnb featuring San Antonio artists in the back house of our fixer upper, which we’ve been renovating for the past year. I‘m going to share my process in pursuing these projects and I appreciate all of you who have encouraged me in taking this leap.